Central air conditions has a centralize duct system. The duct system (air distribution system) has an air handler, air supply system, air return duct and the grilles and register that circulates warm air from a furnace or cooled air from central air conditioning units to our room. It returns that air back to the system and starts again. It uses Ac refrigerant (we may know it as Freon) as a substance to absorb the heat from indoor evaporator coils and rejects that heat to outdoor condenser coils or vice verse. Central air conditioner units used a blown, which is mounted indoor to a furnace to circular that cold air to the entire house through air distribution system (duct). It uses the same duct system for heating and cooling. Home air conditioning units work by removing heat from one location and rejected to different location. Central air conditioner units using the compressor, the condenser fans, the blower and the air conditioner unit’s electrical parts to make the ac units work. Central ac units work by using an electrical energy and converted it to mechanical energy. To have an idea of how central air conditioning unit works. We have to understand the basic five mechanical components and how the basic refrigeration cycle work. The air conditioner compressors, located outdoor within the condenser unit is responsible for providing the pressure difference in an air conditioner system. The compressor pulls in low-pressure, temperature from the evaporator and compresses that gas to high-pressure, high temperature superheats to the condenser. Air conditioner condenser, it’s a square (or round) metal box located outdoor. It receives the high-pressure, temperature vapor refrigerant from the compressor and rejects that heat to the surrounding air (medium). 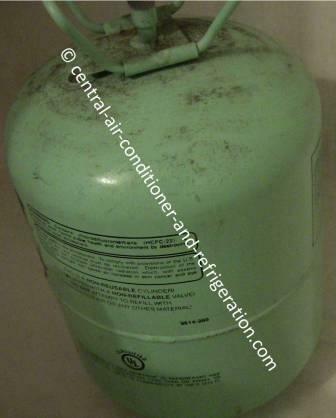 As a result of condensing the hot vapor heat, the refrigerant turns to liquid. The air conditioner evaporator, located indoor within the air handler or furnace is responsible for absorbing heat from whatever places that needs to be cool. 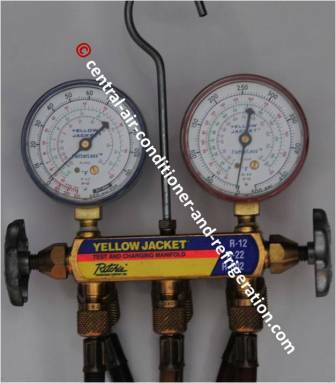 Air Conditioner Refrigerant copper tube- Its copper tube that connects the compressor, the condenser, the metering device, and the evaporator. Once the refrigerant’s tube connects to these components, and we add refrigerant in it; It is now known as refrigeration cycle (close- loop air conditioner units). The copper tube comes in many differences sizes, purpose and some of it comes with an insulator. The air conditioner expansion valve (meter devices) is located indoor in the air handler or furnace. 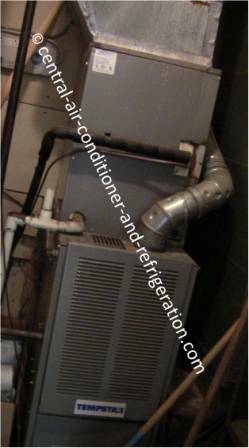 The meter devices are near the evaporator coil which is within the air handler. It acts as a restriction. 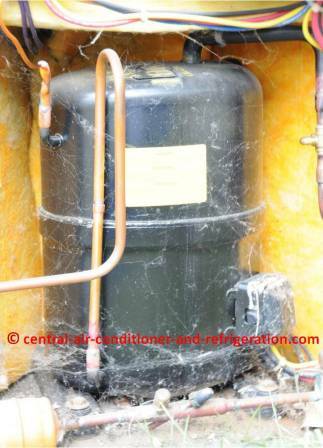 It’s responsible for providing the correct amount of refrigerant to the evaporator coil. The compressor, the condenser, the expansion device, the evaporator and the refrigerant copper tube that connects these components. 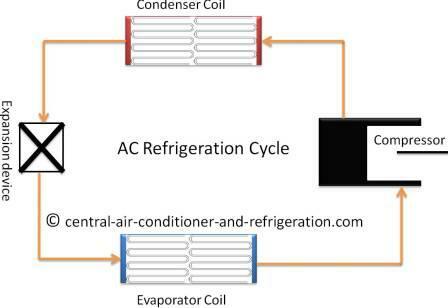 If we understand how the basic refrigeration cycle works, we understand how any air conditioner units work. Since all air conditioner units have the same basic components, refrigeration cycle and air conditioning theory. It doesn’t matter if it’s window ac, packed air conditioner, ductless air conditioner, portable air conditioners or central air conditioning units. The only difference is: brand name (Goodman, Trane, Carrier, York, and Amana), capacity rating of refrigeration equipment (air conditioner’s size), seasonal energy efficiency ratio (SEER), prices, different types of refrigerant it uses, and other factors. Central air units- it clears the air, dehumidifies, and lowers the temperature. How does it do that? Let’s imagine we have an air that is72°F passed through the air conditioner filters, then through the 40°F evaporator coils. First, it clears the air, next it lowers the temperature from 72°F to about 58°F (heat will always transfer from high to low) then it dehumidifies the air (evaporator condensing the air). This is knows as central air unit process. The refrigeration cycle is cycle within close-loop Ac units. To determine what is happening to the refrigerant within the compressor, the condenser, metering device, and the evaporator, we use a gauge to find out the subcooled, superheat, temperature, and pressure. Ac Btu (British thermal units) - The amount (heat quantity) of heat needed to change the temperature of 1 lb of water to 1°F. It’s the system of measurements we used in U.S. to determine the quantity of heat. Heating Seasonal Performance Factor (HSPF) – It’s heat pump’s energy efficiency rate in Btu on during heating season. This shows us the total heating output (supply heat) in Btu (including electric heat) during heating season and compared to the total electricity energy heat pump consumed (in watt/hr) in the same season and we get HSPF. Ton of refrigeration (cooling) – It measures the amount of heat transfers. One ton air conditioner units will remove 288, 000 Btu/24 hrs or 12, 000 Btu/hrs. Residential air conditioner is rated in Seasonal Energy Efficiency Ratio (SEER) – It is the measurement of central air conditioning unit or heat pump efficiency rate in Btu over cooling season. It’s the total cooling output (supply air) of an air conditioning Btu we get out during its normal usage periods (approximately 4 months) and then divided to electricity energy the central air conditioners consumed (watt/hr) in that same cooling season and we get SEER. Why do we size central air conditioners and how? The reason HVAC contractor does this is to find the correct size air conditioner units (measure in ton) we'll need for a replacement central air units or for a new house. Some HVAC contractor size air conditioners by the rules of thumb (guesstimate) over the phone, which is fine. Not every contractor has the luxury to attend every home to provide estimation, but the finish sizing should be done properly on paper. If an HVAC contractor does not have a properly load calculation we either have an oversized or undersized equipment. To determine the proper size of http://www.central-air-conditioner-and-refrigeration.com/central_air_units.html we need to have the Manual J and Manual D books by Air Conditioning Contractors of America. We could use HVAC load calculation software to determine heat gain (air conditioner units) and heat loss (furnace). There are whole bunch of different types and form of central air conditioning units, but in a residential air conditioner there are two types of central air conditioner units we will see: a split system air conditioning and package air conditioner units. Split - system have the two separate metal cabinets for indoor and outdoor. These two cabinets are connected to each to other with copper refrigerant tube. Indoor units, which are also known as air handler. It contains the blower, furnace (for heat season), metering device, evaporator coils, control, and other electrical parts. 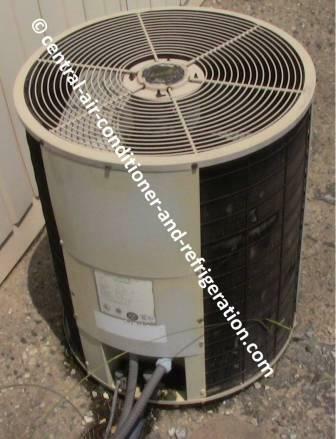 The condenser is located outdoor, it has a square or round shaped metal cabinets containing a compressor, condenser fans, and condenser coil plus the electrical parts. 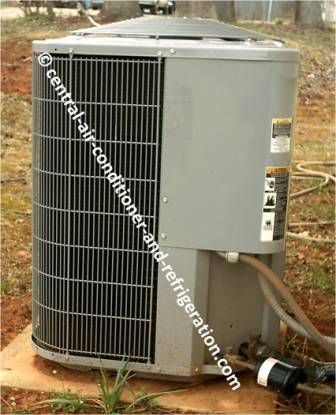 In a split-central air conditioner unit or any air conditioner units the major components must be compatible. Each major component must have the same capacity rate, if an indoor unit is 13 SEER the outside units also have to be 13 SEER. Make sure to have manufacture equipment specification sheets, it tells us the component’s capacity and what the equipment is designed for. If we do not know the information, find out the brand name and called the manufacture. Package unit is a self-contained air conditioner units, which have all the components built into one metal cabinet. Package air conditioners are normally located beside the building, on top of roof or on a window. Window air conditioning is a package air conditioner, except its small, has less capacity, and it has the one fan motor with a double shaft that runs the blower and condenser fan. While larger package air conditioner units have a 200 ton of air conditioning or heating capacity with two motors fan. One fan is for evaporator and the other for condenser. 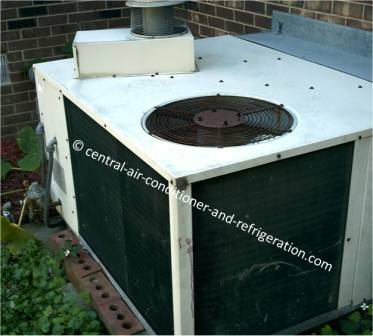 A rooftop unit in light commercial is normally air-to-air or air cooled air conditioner units. It’s on top of the building just to save building space. Even though package air conditioner unit is located outside or on top of the roof, it needs an air distribution system, control connection and must be connected to a power line by a licensed electrician. Except window units, it does not need a duct system it just blows air freely to open space. There are different types or arrangement of package air conditioner systems. Air-to-air package unit or air cooled package unit is similar to window air conditioner except it has an air distribution system and two motor fans. The term air-to-air means that it uses air as the condensing medium, it absorbs heat from the inside air and rejects it into outside air or vice versa. Air-to-air package system is the most common system used in residential and light commercial. Air-to-water sometimes known as water cooled package unit, absorbs the heat out of conditioned space air and rejects that heat into water. This water could be waste, reused, or go through a cooling tower to reject the heat to surrounding (ambient) air.